Have you noticed? I looove options. It all boils down to my decision making skills. I’m not typically an indecisive person. Ok, maybe sometimes. But when I know what I want, I am quick to make up my mind. YOU get options. I just limited myself to two. 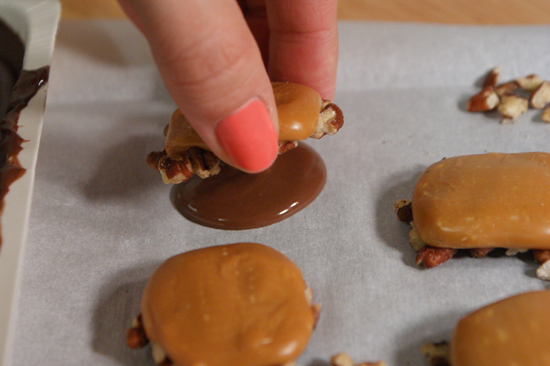 Salted Caramel & Pecan Pretzel Turtles. 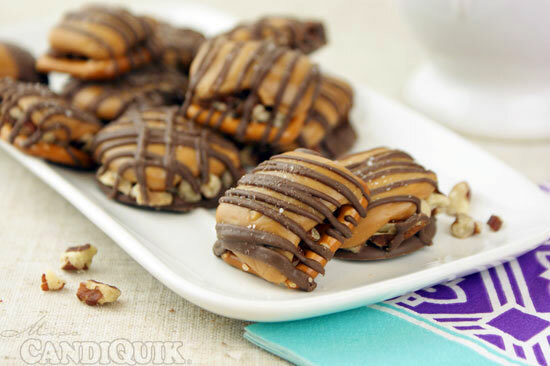 Salted Caramel & Pecan Turtles. Sans pretzels. Your choice. Or you can make both and be totally decisive, like I am. 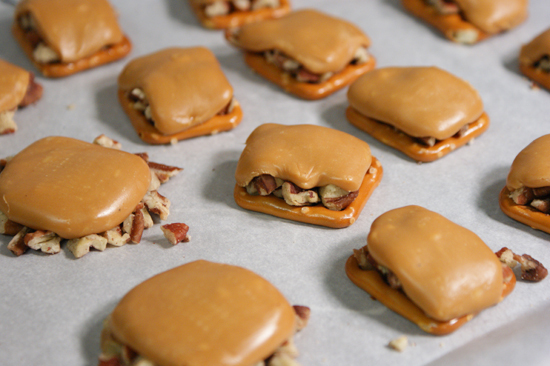 Arrange the pretzel snaps on a parchment-lined baking sheet; divide the toasted pecans into 16 small piles on the parchment paper OR on top of each pretzel snap. 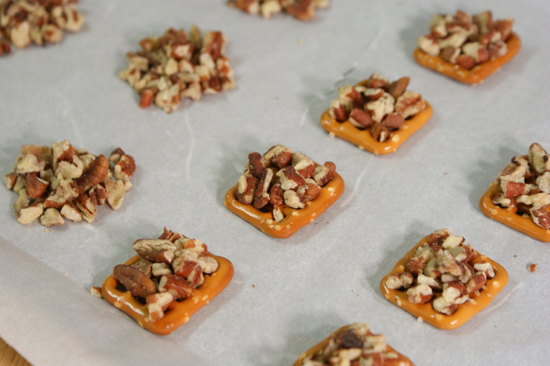 Flatten each caramel cube to approximately 1” square and place on top of the pecans. Heat in the oven for 5 to 7 minutes, or until the caramel softens and begins to melt. Remove from the oven; let cool. Melt CANDIQUIK® in Melt and Make Microwaveable Tray™ according to the package directions. 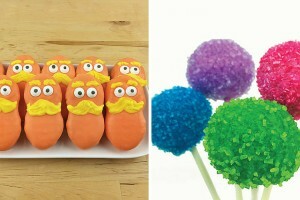 *For the Pretzel version: drizzle each candy with chocolate coating (optional: dip each candy in chocolate coating). 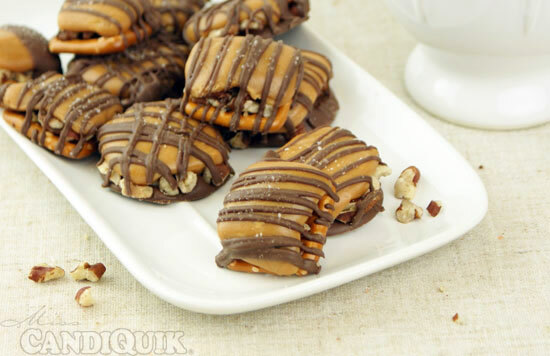 *Sans pretzel: spoon a small amount of chocolate coating directly onto the parchment paper. 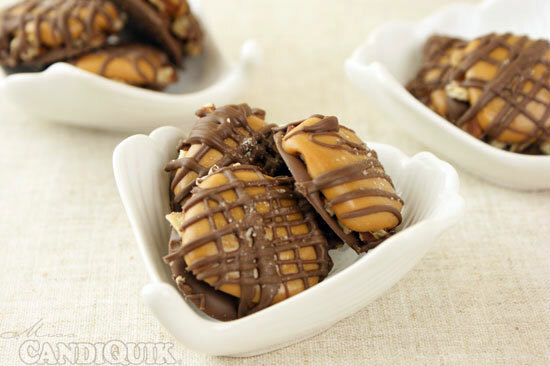 Place the pecan/caramel candy on top of the chocolate. 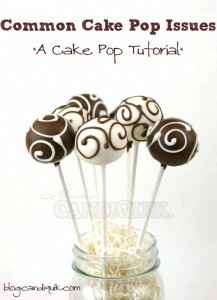 Drizzle with additional chocolate coating. 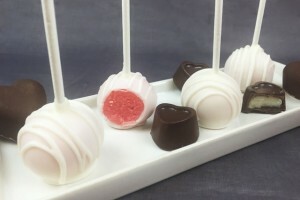 Top each candy with a few flakes of coarse sea salt. Both of these are beautiful, girl! I love options too however, pretzels are my fave so I think I’d head straight for those. The pretzel version was great because they held everything together perfectly! I know what you mean. I can never make up my mind either! 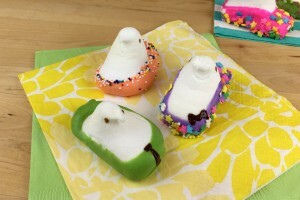 LOVE these – I have to make them for my mom. Hi Dorothy – haha, well it’s always good to have options in my opinion…& your mom will love them! 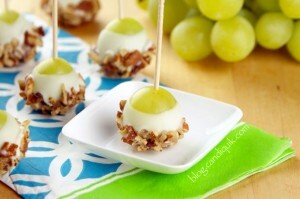 These look so great and easy! 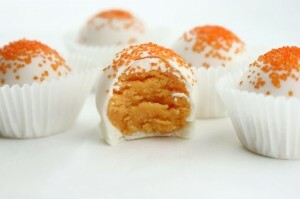 I’ll have to make these. Found you on the trick or treat party. Turtles are my favorite! I can’t wait to try your version. 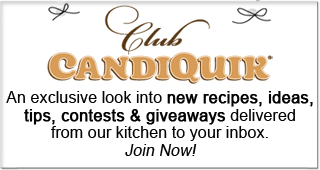 Very smart idea and the flavor compination is perfect! Thank U!